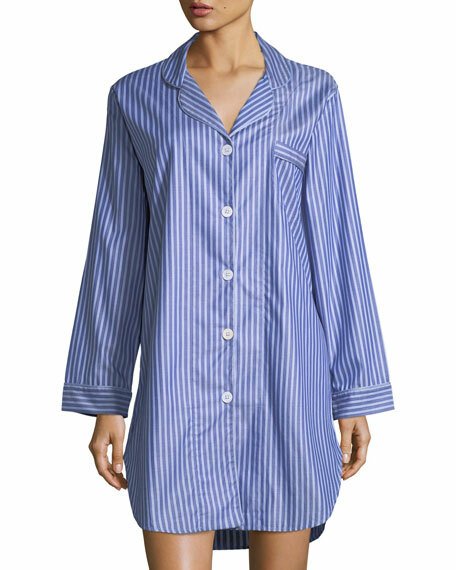 P Jamas "Carlyle" sleepshirt in striped poplin. 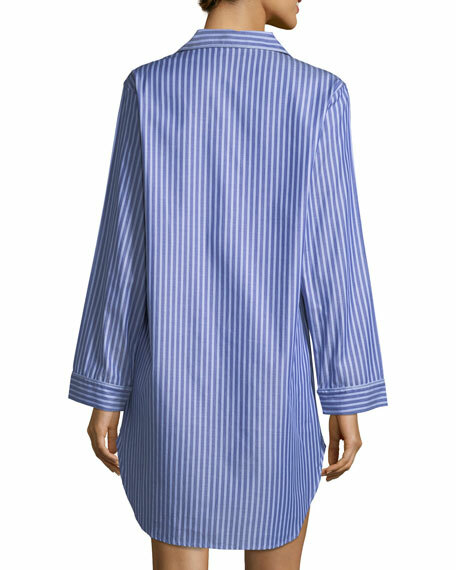 P.J amas is known for the highest quality cottons and impeccable needlework. When you think of P. Jamas you think of fabric so soft, of design so elegant in its simplicity, and a fit so comfortable yet flattering, you realize that creating the collection only looks easy. Founded by Cuban-born Esperanza Diaz Manas in 2000, the collection has a loyal following throughout the world.